Bastian has unveiled its first international outpost in Mayfair’s Davies Street, coinciding with the Berlin-based gallery’s 30th anniversary. Taking up residence in a 20th-century mansion block, the London space helmed by Aeneas Bastian (son of founders Céline and Heiner Bastian) has been renovated by David Chipperfield Architects. The firm previously designed Bastian’s Berlin gallery on Am Kupfergraben, which opened in 2007 and has recently been donated to the Prussian Cultural Heritage Foundation. 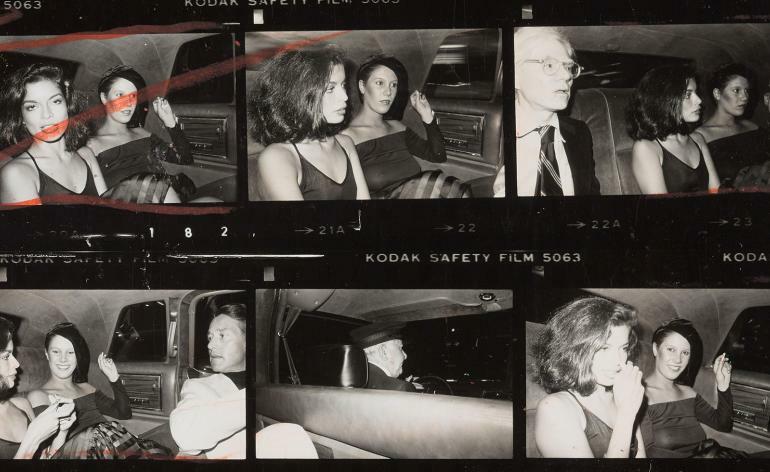 The inaugurating exhibition presents a series of 60 Polaroid portraits by Andy Warhol of his illustrious coterie, some of which have not been shown previously. These casual instant pictures were an integral – if overlooked – dimension of Warhol’s practice, forming the basis of his paintings, drawings and silkscreens. The artist was partial to Polaroid’s Big Shot camera: launched in 1971 specifically for shooting portraits, it has since garnered a cult-like status in spite of its cumbersome size and rigid unpracticality. Still, this eccentric device seemed appeal to an equally eccentric artist, who turned his lens on the likes of Joseph Beuys, Paloma Picasso, Yves Saint-Laurent, and Jean-Michel Basquiat among others through the 1970s up until his death in 1987. ‘My idea of a good picture is one that’s in focus and of a famous person,’ he once said. Looming large over his star-studded inner circle at Bastian is a fittingly supersized portrait of Warhol himself.